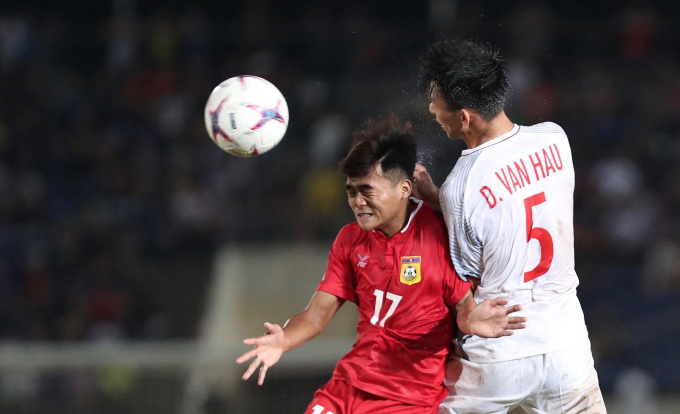 Vietnam possessed most of the game during its opening match at the ASEAN Football Federation (AFF) Championship in Vientaine. 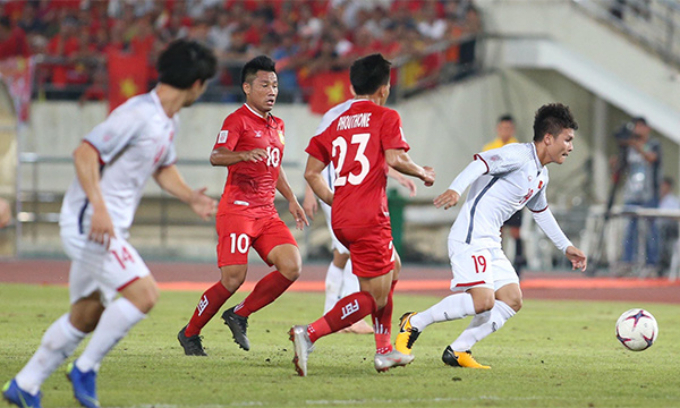 The tournament started for Vietnam Thursday night as it won the first three points from a smooth victory over Laos. Vietnam had ball possession almost 90 percent of the game as Laos hardly made any serious attacks. The second half ended after three additional minutes. 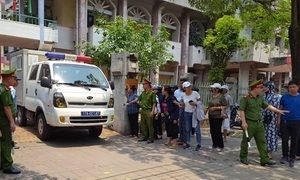 In 82', Nguyen Tien Linh missed a shot. In 77', Nguyen Cong Phuong got the ball into the net but he was offside and thus the goal was not approved. Nguyen Cong Phuong is flagged offside as he gets the ball into Laos' net. Nguyen Quang Hai is embraced after scoring the third goal for Vietnam. In 68', Vietnam got a free kick and Nguyen Quang Hai scored a beautiful goal. The curling free kick found the bottom corner of Saymanolinh Paseuth's goal. 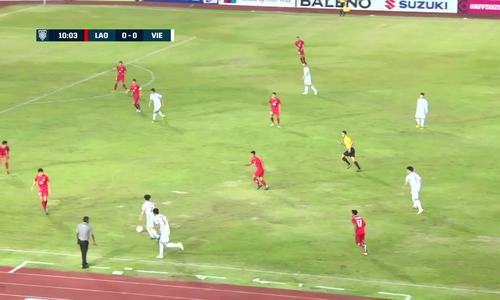 Vietnam's third goal against Laos. In 67', another long shot by Luong Xuan Truong and it was saved. In 57', Goalkeeper Dang Van Lam had a great save for Vietnam. Laos took a corner a minute later but failed to threaten Vietnam's goal. 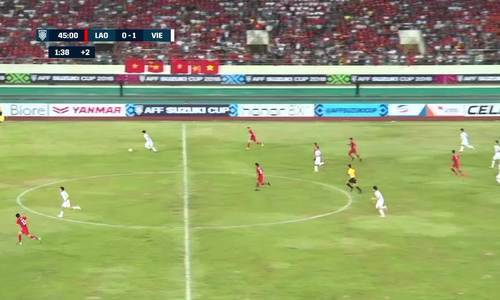 In 54', Nguyen Quang Hai took a dangerous shot from long distance but no goal for Vietnam. Vietnam's coach Park Hang-seo gives instructions from outside the field. As the teams came back for the second half, Doan Van Hau was subbed out for Phan Van Duc. Hau received a yellow card in the first half. The first half ended 0-2 with two goals for Vietnam. Nguyen Anh Duc celebrates his goal for Vietnam. 45+2': Nguyen Anh Duc scored the second goal for Vietnam after a tap in. There were be two additional minutes for the first half. 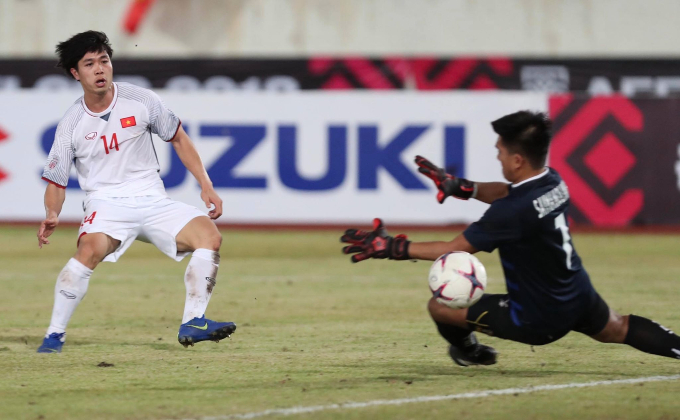 Nguyen Trong Hoang took another long shot, but it was saved again by the goalkeeper. In 42', Nguyen Trong Hoang took a sharp shot but it was saved by Laos goalkeeper. In 31', Vietnam saved a 30m free kick from Laos. Doan Van Hau (R) fights for the ball. Vietnam's defender Doan Van Hau got a yellow card at 28'. 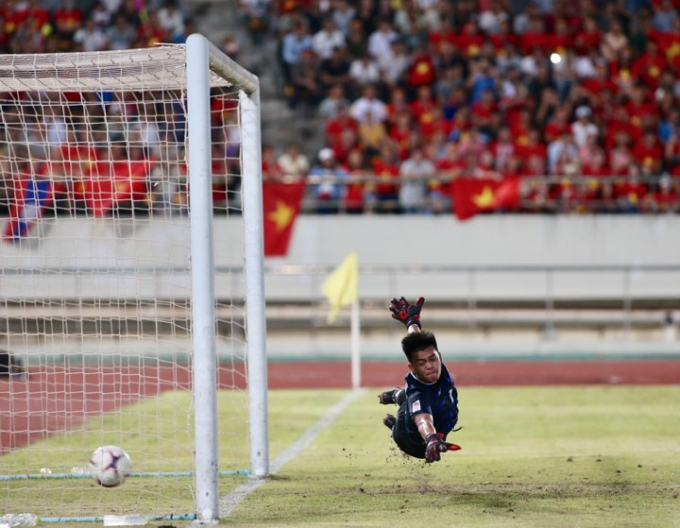 In 24', Nguyen Quang Hai tried his luck with a chip over Laos goalkeeper, but failed. 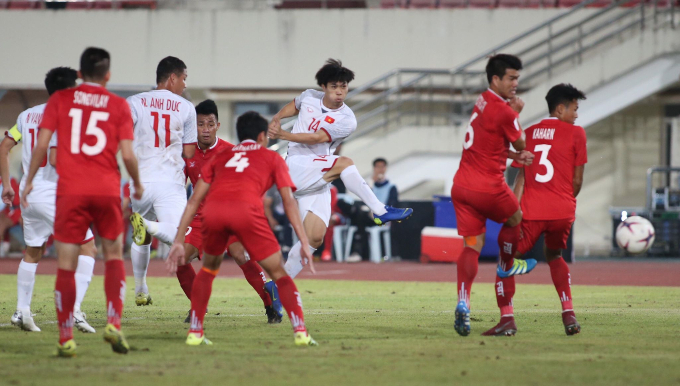 Midfielder Nguyen Quang Hai (R) has been leading the game. Vietnam possessed 90 percent of the game in the first 15 minutes. In 14', Luong Xuan Truong took a free kick but did not succeed. 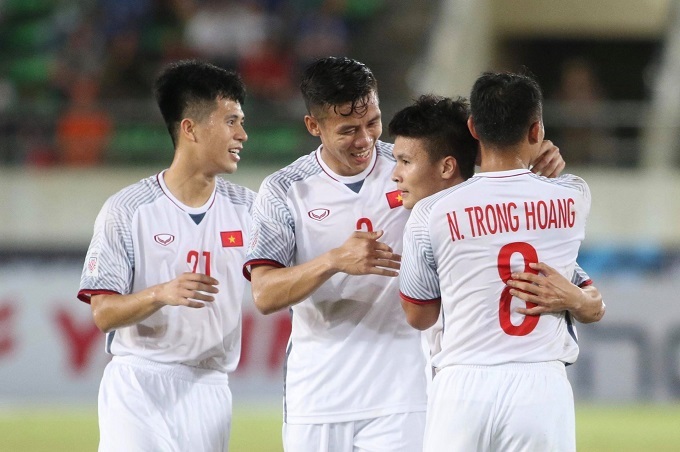 Nguyen Cong Phuong scores a goal for Vietnam. 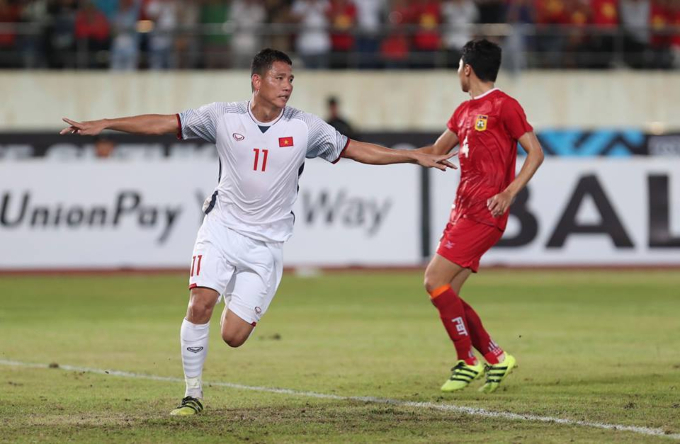 In 11', Nguyen Cong Phuong scored for Vietnam. This was his first goal in an AFF Cup tournament. In the first two minutes, Vietnam had two corners but failed to score any goals. Vietnam entered the game in white and Laos in red. 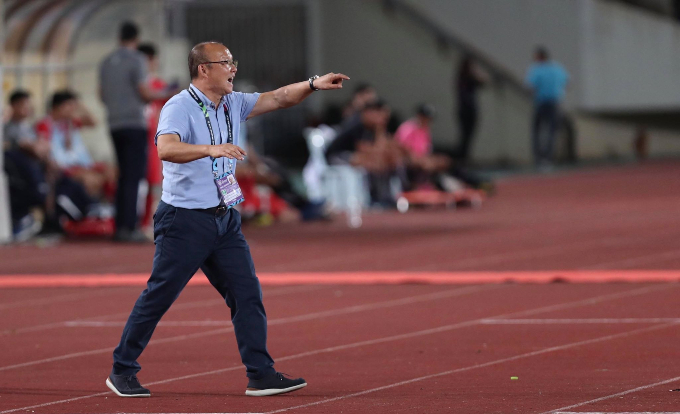 For Coach Park Hang-seo, the game was his first success at the helm of the full-fledged Vietnamese men’s football team in an official tournament. 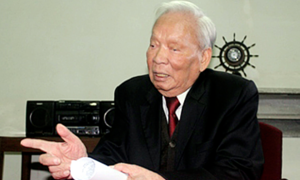 In earlier tournaments, he was managing the national U23 team. Vietnam and Laos have clashed seven times since the first AFF Cup tournament was held in 1996, when it was known as Tiger Cup. 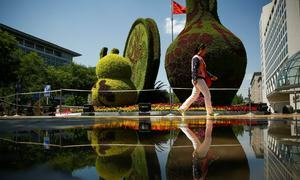 The score has been 6-0 in Vietnam’s favor, with one game ending in a draw. Vietnam has scored 24 goals in their last five AFF Cup matches. 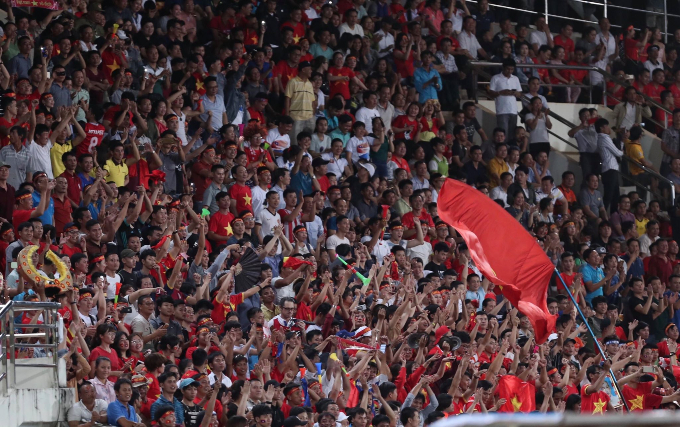 Vietnamese fans cheer at the stadium in Laos. Vietnam will play its second match against Malaysia at the My Dinh Stadium in Hanoi on November 16.